"Guides readers on a course from the scientific to the spiritual; from the universal to the truly personal." What the Bleep Do We Know!? is a book of amazing science, and now the international bestselling book is available in paperback. With researchers and theoretical scientists leading the way, it takes the reader through the looking glass of quantum physics into a universe that is more bizarre and alive than ever imagined. What is a thought made of? What is reality made of? And most important, how does a thought change the nature of reality? A higher power exists, but is it truly out there? Where is the dividing line between out there and in here? If thoughts are more than random neural firings, then is consciousness more than an anatomical accident? This isn't a book of definitive answers, but of mind-stretching questions. It is a book that shows not the path, but the endless possibilities. 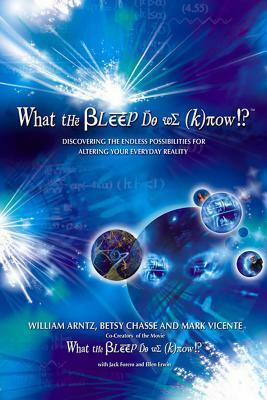 William Arntz, a research physicist and spiritual seeker, created one of the world's most widely used pieces of software. He retired and became interested in uniting his four great passions: leading edge science, spiritual inquiry, filmmaking and computers.